Set in the Sleep-Tite Pajama Factory in Iowa, the new Superintendent, Sid Sorokin soon falls for the leader of the Union Grievance Committee, Catherine "Babe" Williams and despite her dismissal of all things love-related, it seems she’s falling right back. That is, until the factory workers are refused a 7½ cent raise, and the pair find themselves on either side of the union protest that results. When their moral principles seem set to tear them apart, will Sid and Babe realise that the value of true love is much greater than 7½ cents? 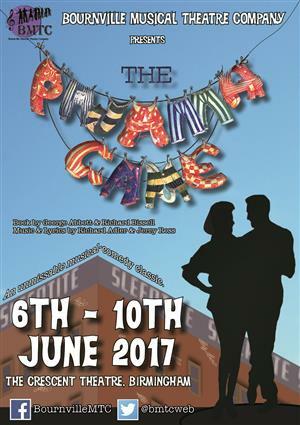 First staged in 1954, the key themes in The Pajama Game; love and politics (and what happens when the two collide) remain as current as ever in this timeless classic. The story is supported by an energetic score by Richard Adler and Jerry Ross (Damn Yankees), brimming with songs and dances that have become musical theatre standards, including Steam Heat, Hey There and Hernando's Hideaway. The show collected its most recent Tony award for 'Best Revival' more than half a decade after the three it won for its original run, including 'Best Musical' and the first award for Choreography by the legendary Bob Fosse.